(1) The chip resetter can't reset Epson original (genuine) ink cartridge. (2) The ink cartridges can be used again after reset with our chip resetter. The Chip Resetter come without Batteries. 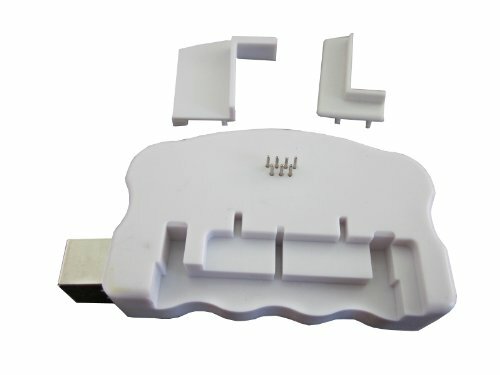 Please use a printer USB cable to connect the resetter with a computer for the power supply. The Chip resetter can work on all Compatible Epson old 7pins nad 9pins ink cartridge. If you have any questions about this product by ND, contact us by completing and submitting the form below. If you are looking for a specif part number, please include it with your message.